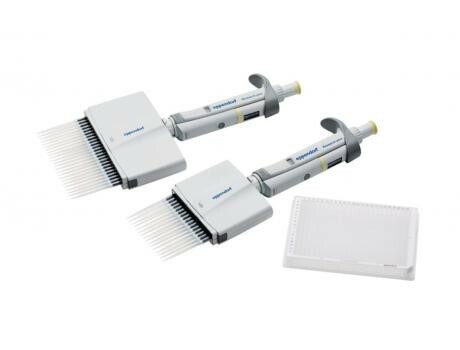 Eppendorf has extended its liquid handling portfolio with the launch of the Research plus and electronic Xplorer plus 16- and 24-well multichannel pipettes and epTIPS 384 to enable the convenient pipetting of entire columns and rows of a 384-well plate. The system uses SOFTattach technology with tip elasticity for good tip fit and seal as well as a spring-loaded tip cone to reduce tip attachment forces for ergonomic handling. A fine tip shape facilitates manoeuvrability of samples accurately into the wells of a 384-well plate. 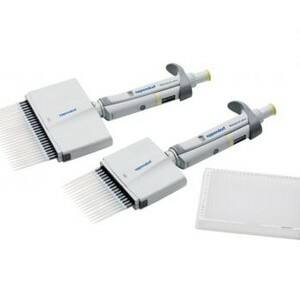 The 16- and 24-well multichannel pipettes and epTIPS 384 are designed to improve efficiency and reproducibility and save users time when working with 384-well plates. 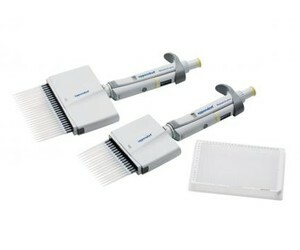 I am interested in Eppendorf Research plus and electronic Xplorer plus multichannel pipettes and tips .